If it breaks, we'll fix it If your appliance develops a fault we'll get it working again. Well instruct either the manufacturer or a certified repair centre to repair it. Accidental Damage Cover If your product fails due to an accident, you're covered from the moment you receive it. 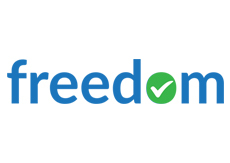 With Appliances Freedom you get extra benefits such as breakdown due to accidental damage, a single point of contact if you need help or advice, and a replacement product if we can’t repair it. We’re so confident about our quality of service that you can cancel the low cost monthly payment whenever you wish. If your appliance develops a fault we'll get it working again. We’ll instruct either the manufacturer or a certified repair centre to repair it. If your product fails due to an accident, you're covered from the moment you receive it. This will cost £2.99 a month on a pay as you go basis, please call 01773 814 698 to activate.